An unexpected delight. A fairly superior brand of early 1990s Rock, produced by Jaz Coleman (of Killing Joke) and you can hear the influences on a lot of the tracks. The band was formed by an ex member of New Model Army but I wouldn’t say you could easily spot any similarities. They did two albums before fading away, shame because this is a solid band. Loud were formed in 1989 by Chris McLaughlin after leaving New Model Army. The band were critically acclaimed at the time and achieved some chart success before disappearing into the mysts of time. Loud were great, why they? never got the success they? deserved is way beyond me! hard rock band with alternative rock, gothic rock and heavy metal influences, formed in Leeds, England in 1989. 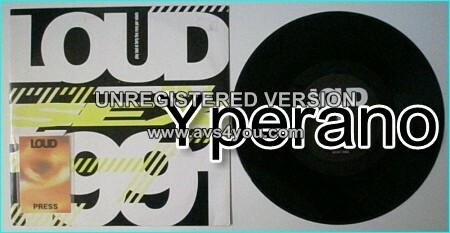 The groups debut album, released in 1990 on China Records, was called D-Generation. It was co-produced by J. Martin Rex and Jaz Coleman of Killing Joke. Kerrang! magazine voted it one of their twenty best albums of 1990. Hawthorn and Clarkson left the band in late 1991 and were replaced by bassist Stuart Morrow (formerly of New Model Army) and guitarist Paul “Etch” Etchells (formerly of Ghost Dance). This revamped line-up recorded the bands second album, Psyche 21, which was released in 1992. The album was produced by Reinhold Mack. It received some favourable write-ups in the contemporary music press, including a rave review from journalist Valerie Potter in the Australian Hot Metal magazine and a 5-out-of-5 score in Metal Hammer magazine from reviewer Anthony Noguera. In spite of the albums success, the band split up shortly afterwards. SKU: YP-1734 Categories: All Genres, Hard Rock, Rock, Search by Media Type, 10"